I recommend people to the Alexander Technique who have not improved with traditional rehabilitative therapies. Part of their pain may be due to posture and the improper use of their bodies. Many people who have neck or back pain and have gone through heat, ultrasound and massage with no relief can be helped by learning the Alexander Technique. It definitely works. Chronic (long term) pain is one of commonest reasons that people turn to the Alexander Technique. It is a drug free method, but is generally not available on the NHS. 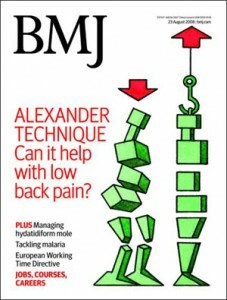 Research in 2011 in a NHS trial in Bristol showed that patients using the Alexander Technique were able to stop or considerably reduce their pain medication. In 2008, a Randomised Controlled Trial of 579 NHS patients suffering Low Back Pain was published in the British Medical Journal. It showed an 86% reduction in pain for patients using the Alexander Technique. Conventional medical treatment of chronic pain is often limited to management of the condition. If however, the source of your pain is muscular or postural, the Alexander Technique may give you the means to eliminate it completely. The Alexander Technique gives you a better way to understand how your body works. Through a course of one-to-one sessions with an Alexander Technique teacher, you learn to sense and release the stress and muscular compression that can compound pain. As you shift your entire system from a state of overarousal to a state of calm, you can lessen your pain and give your body a chance to heal. Back Pain Trial carried out in 64 general practices in England. Little P, Lewith G, Webley F, et al. Randomised controlled trial of Alexander Technique lessons, exercise and massage (ATEAM) for chronic and recurrent back pain. Chronic Pain Trial at St Michael’s Hospital’s NHS Pain Clinic in Bristol. The research involved forty-three patients with chronic or recurrent pain who ‘were not getting better or responding to conventional treatment’. They received six consecutive weekly one-to-one Alexander Technique lessons from a STAT registered Alexander Teacher. Conclusion: The research showed a dramatic decrease in the need for medication: More than half of the service users who took part in a service evaluation project stopped or reduced their use of medications between the start of the lessons and three months. McClean, S and Wye, L (2012) Taking charge, choosing a new direction: A service evaluation of Alexander Technique lessons for pain clinic patients (SEAT): An approach to pain management. 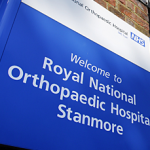 Chronic Pain Trial at Royal National Orthopaedic Hospital, Stanmore. A study of the effectiveness of 13 therapies used in a pain management clinic was carried out at the Royal National Orthopaedic Hospital, Stanmore, Middlesex. Questionnaires measuring this were administered at the end of the course, 3 months later and 1 year later. Conclusion: The patients rated the Alexander Technique the best of 13 activities used. Fisher K et al. ‘Early experiences of a multidisciplinary pain management programme.’ Holistic Medicine 3:47-56, 1988. Pain and disability associated with neck pain will be assessed over 1 year, along with measures of quality of life, participant beliefs and experience, cost effectiveness and safety. The trial is not designed to be a direct comparison of Alexander lessons and Acupuncture, rather it will compare each of these with usual GP care.